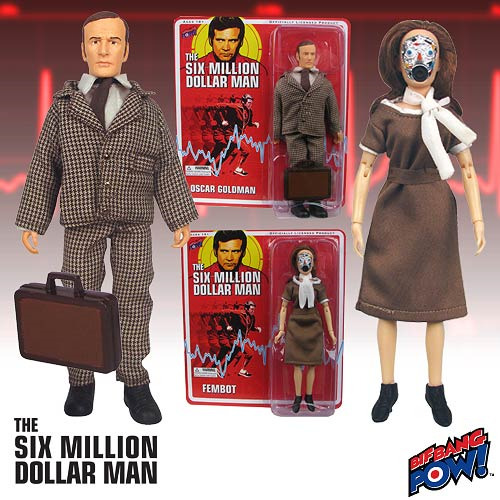 This set includes Oscar Goldman and Fembot Action Figures. Your SMDM collection is incomplete without your very own Fembot Action Figure. This female-robot facsimile features a dress, scarf, belt, high-heeled shoes, rooted hair, and an unforgettable face that's to die for. On second thought, maybe not!